The non-governmental sector should foster its engagement in creating a network of civil-military cooperation as a part of a broader policy of engagement in overseas missions – this is one of the main conclusions from the discussion on Poland’s military involvement abroad. 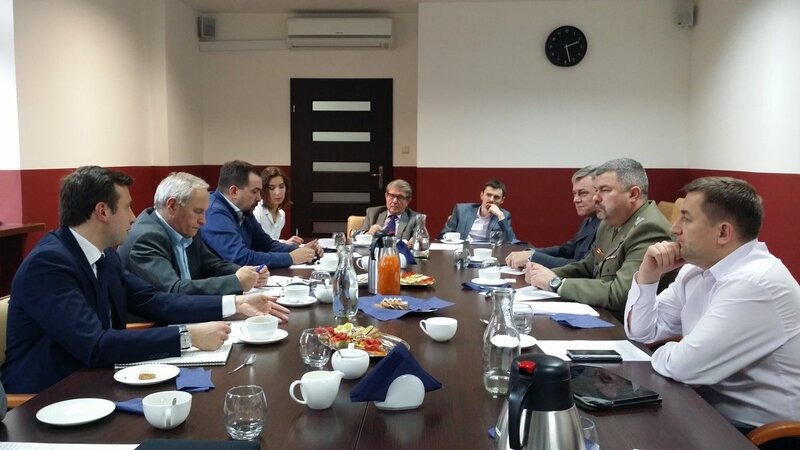 On November 22 the Casimir Pulaski Foundation held an expert meeting on the participation of the Polish Armed Forces in international operations. The purpose of the meeting was to trigger a discussion on Poland’s place and role in international peacekeeping and stabilisation missions (UN, OSCE, NATO and EU), as well as to initiate a review process of Polish capabilities and profits deriving from the country’s greater involvement in the conflict-affected areas. At the very beginning of the discussion, it was pointed out that a balance must be struck between the defense of the state and the activities outside the country. Thus, one should not obviate the other. Hitherto the political will to return to overseas missions has been poorly articulated. For such a will to exist, the acceptance of the society is necessary, for that, a proper civic education is required. Since 1953, approximately 120,000 Polish soldiers were sent on foreign missions, of which more than 80,000 have stationed in the Middle East. Hence, the Polish have the necessary knowledge and experience to involve more closely in resolving current and future international conflicts. In order to properly approach the creation of a new strategy for Poland’s involvement abroad, a comprehensive analysis of its former engagements has to be made first. Any sort of recommendations cannot be made without political support, thus an agreement on the extent of Poland’s involvement in peacekeeping and stabilisation missions should be made between the political parties. Furthermore, Poland’s engagement should not be dependent on the host institution, but only relate to Poland’s national interest. The participants of the discussion have agreed that the trend around the world favours an increase of national egoism, the international organizations lack effectiveness and the reality in which international institutions, such as NATO, the EU or the UN operate has become more complex. There is an opportunity to get involved in reforming international institutions, in a variety of different ways – academically, governmentally, privately or NGO-based. Poland’s engagement should be considered an important tool for strengthening its international position. Poland ought to adopt a more active attitude, identify the potential areas of cooperation and engage. The exchange of experience between the allies, as well as mutual learning, is essential in this case.